On Thursday August 30th, 2018, we detected a signal interfering on our FM frequency with white noise. A similar interference occurred in 2015. On both occasions, we detected the signal coming from the entrance of University City, around 3000 University Avenue. This new aggression followed the grave events that took place on Monday September 3rd, 2018, when a violent opposition group attacked a demonstration of alumni of CCH in front of the rectory on campus. That attack left various injured, and two people hospitalized. These events are particularly serious, as while a zero-tolerance policy has been established on the campus of University City by UNAM security, elements of this para-police group were seen accompanying and protecting the violent opposition group. 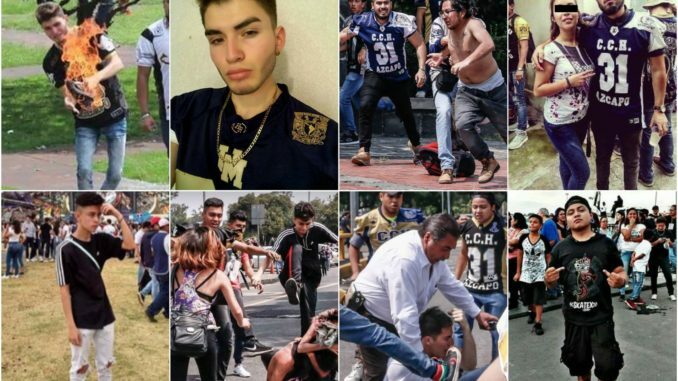 Witnesses of the attack identified Teófil Licona, who is said to be the “chief of security” of UNAM. In the face of these outrageous acts, we call on everyone to unite together in the actions that the different schools are planning for the following days. We send our solidarity to the comrades who have been assaulted and we remain attentive to the well-being of the injured. We hold responsible the rector of UNAM for these aggressions and for whatever other event can occur in the university facilities.